Today Axalta (formerly DuPont) announced a partnership with my school (University of Michigan) for research and other stuff. 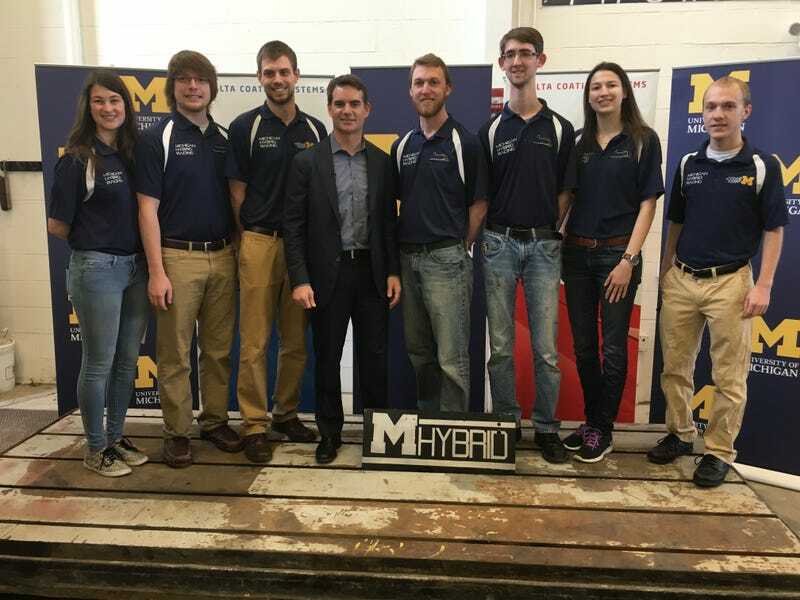 That meant Jeff Gordon came to our shop and talked to all of the car teams that compete in Formula Hybrid, FSAE, Baja, and Solar Car. I got to talk to him for 5 whole minutes about composites and our team. He's a really really nice guy and very easy to talk to. Hopefully we can get him to come back and take our car for a spin! The Chevrolet SS in the wild.